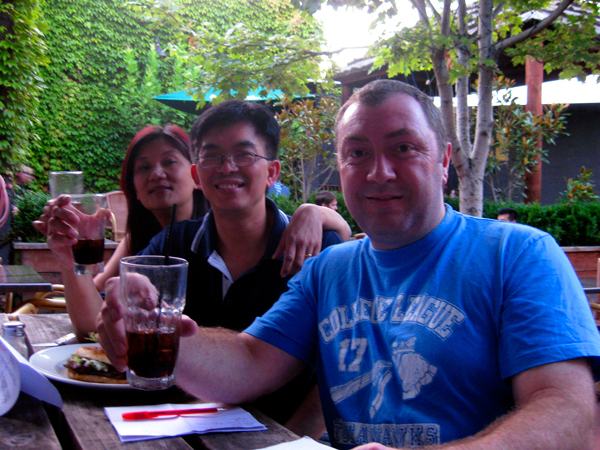 Last week, Australia saw its first HubMeet (HubPages social meetup) when Hubbers Suzanne Day, Kangaroo Jase, and May PL got together at the Stolberg Beer Cafe in Preston – the three Hubbers, plus Richard, May’s Husband (and hopefully soon-to-be-Hubber) got together to chat, share tips, and talk all things HubPages in the real world! The group swapped a lot of helpful information – May PL shared some tips on writing about business-related things, Kangaroo Jase talked genre trees, and Suzanne Day suggested some good strategies for writing all-around good Hubs. Even Richard pitched in with his insider insights on the financial world and writing on financial topics online. Suzanne wrote a great Hub about the HubMeet sharing fun photos and noting the major topics discussed – I highly recommend you check it out! If you love the idea of a social HubPages meetup, you can check our HubMeets page on Meetup Everywhere to see if there are any HubPages-related meetups in your area. And if you would like some Hubbing Tips straight from the HubPages staff, check out our upcoming HubCamp event schedule to see if one of our free seminars is coming to a city near you!